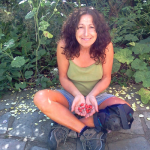 Of Butterflies and Bees→Gardening Blog→Edible Garden Show – High Heeled Gardener Style! Edible Garden Show – High Heeled Gardener Style! Very excited about our stall at the Edible Garden Show this weekend March 20-22nd at Ally Pally, do come and visit us! Just putting the finishing touches on the weaving of our giant willow shoe. Our pruned pear branches have kindly just come into blossom; pea shoots and rocket plants in high heels all look rather original! 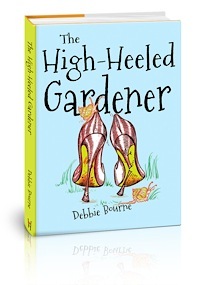 Come and hear Debbie, aka, The High-Heeled Gardener’s talk on Friday at 2:30, Saturday 12:30 and Sunday 2:30. Looking forwards to the drinks with James Wong. Cheers!